It seems that everyone is jumping on the cloud bandwagon. Cloud this, cloud that, everything cloud. Salesforce.com has all but rebranded its entire business as cloud. Instead of sales force automation, we now have “Sales Cloud 2” (and “Service Cloud” and “Custom Cloud” and “Collaboration Cloud” with nice little TM’s attached, so if you were thinking of using them for yourself, you can forget it!). I suppose it might be a good thing. Personally, I was getting pretty tired of Salesforce.com trying to “force” this brand, “force” that brand on me. I really don’t have a problem with the cloud buzz per se. I think it is good for the industry, because it creates excitement, momentum and funding for B2B Internet companies. But, I am concerned that all this unbridled rebranding and repositioning is obscuring the underlying technological and economic shifts which characterize this next stage of Internet evolution. 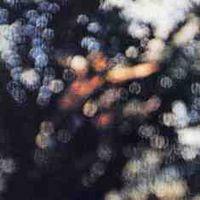 Cover from the Pink Floyd album Obscured by Clouds. Not really relevant, but I needed a picture. Retweet if you’re a Pink Floyd fan! The Web 1.0 Internet revolution, of which classic software-as-a-service is a part, arose as a result of the universal interface offered by the Web browser. Suddenly, anyone could access any global computing resource over the Internet as long as they had this one, standard client application. It didn’t really matter what happened on the back end, because everyone was plugging into the same application on the front end. I like to think of this as application – user interoperability. The economic implication of this paradigm shift was that you could now aggregate customers around the globe onto a single Internet application. Say for example, ordering books or sales force automation. The shift we are seeing now is driven by increased interoperability on the server side, or rather application – application interoperability. And, because it is on the back end, it is occurring at every layer of the software stack from the virtual machines of cloud computing to the really simple syndication (RSS) of personal blogs. Not only have underlying Web service standards like XML, SOAP and JSON gained broad acceptance, but general openness, public APIs, and application development frameworks are becoming the cultural norm for Internet applications. Let’s be clear on the magnitude of this technology shift. The current Web 2.0 boom, call it the social Internet revolution, is realistically 95% new product ingenuity and 5% new technology. A little AJAX, a little RSS, and voila! Facebook. Twitter. The application-application interoperability of the cloud is a fundamental technology shift that has the potential to unleash the same kinds of disruptive economies-of-scale and disintermediation of legacy business models by aggregating computing resources in the same fashion that Web 1.0 did by aggregating users. But, this time the war won’t be fought at the user level between brick-and-mortar businesses and Web businesses. It will be fought at the application level between traditional closed, proprietary on-premise software and open, standards-based cloud offerings. 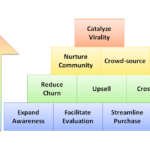 For example, this is the essential value proposition of Xignite. Xignite supplies on-demand market data via Web services. As Salesforce.com “Sales Cloud 2” is to Oracle-Siebel, Xignite is to legacy data feed application vendors like Thomson-Reuters and Bloomberg. But, instead of serving a multitude of users from a single application infrastructure to create economies of scale and reduce TCO, Xignite creates new economies of scale and reduces TCO by servicing a multitude of applications, such as WorlframAlpha, NetSuite, Forbes.com, corporate financial apps at GE and iPhone apps at startups like Palantir. For me, this giant leap forward in application-application interoperability is the essence of this revolution we call The Cloud. The rest is window dressing. We are a SaaS provider of email archiving and constantly struggle with whether to label ourselves “cloud” (since the term is hot) or SaaS. Originally, I thought of cloud as being more infrastructure-oriented (e.g., we might use a cloud provider for our infrastructure). But salesforce has rewritten the rules with their rebranding. I spend a ton of time with clients who are confused about cloud vs. SaaS so it’s definitely still very early.